Keen to continuing researching the use of new technologies in supporting students learning, I am particularly keen to look at the technologies which they are already familiar with including smart phones. Having entered the world of the iphone a couple of years ago I have since seen a huge growth in the number of students with some kind of smart phone. Although I have been aware of QR codes for a while I have never stopped to consider their potential uses in education until stumbling across some articles whilst doing some research for my AST role. 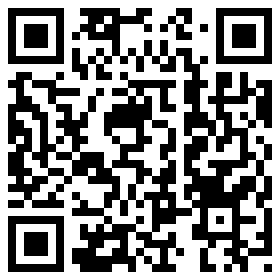 A QR code is a barcode like logo which can be scanned by smart phones, tablets etc. These codes can contain a variety of information which they direct the user to once scanned, including weblinks and text. Can QR codes enhance student learning? QRC101 is an excellent resource site focusing on the use of QR codes in education with a whole series of links to articles, videos and presentations. There is a huge amount of information here and I have only just started exploring it. I also found this very interesting ‘critical’ overview of QR Codes and Education (http://itbabble.com/2011/09/03/qr-codes-and-education/) which sparks debate and questions the value of QR codes and whether they are gimmicky rather than adding to the educational value. A very interesting read and something I am keen to respond to more when I have tried it for myself. codes already embedded on the sheets links to photographs of the features. I have also created an interactive display for my Year 11 form’s careers board with details of VI forms and colleges with QR codes providing direct links to prospectuses and websites from the display itself. · Interactive Geography in the News Wall display – pictures and headlines of major geographical news stories with associated QR codes linking to online news video clips, websites and further images. · Interactive Revision Guides – to help ensure students have a fully integrated and interactive revision programme at GCSE. Current revision guides updated to include QR codes with links to the online resources, specific podcasts and where relevant model answers to exam questions. Further Extension links in presentations used in A’level lessons to encourage students to undertake further background reading. A working list which will hopefully be updated as inspiration strikes! There are undoubtedly a number of issues I am going to need to consider. What about students without smart phones? Am I getting over enthusiastic about something that will turn out to be just gimmicky? Or will it genuinely provide another way of encouraging students to interact and connect with their learning? I look forward to finding out!